A child having his or her social network is like a rite of passage of sort these days. A child cannot bear it, as you might very well remember if she or he is not socially relevant in his or her circle of friends. They want people to hang on to their word and care about their whereabouts and share all the opinions they might have. And today, achieving such a feat is impossible if your child does not have his or her own social media account. An account they can use to stay in touch with their friends. Since, the minds behind social networks are pretty well aware of the fact that there are children joining their vast number of users every day, whether they should or they shouldn’t because of the fact that they want to be a part of the ever moving and never stagnant digital age of man. 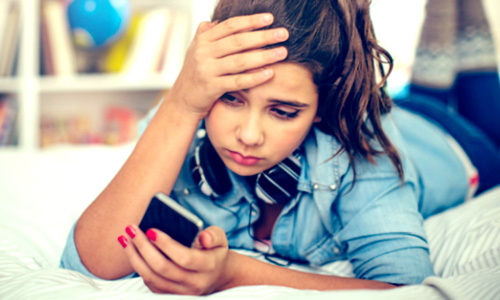 Therefore, the children who are not yet 13 are joining social media net works under the disguise that they are and since such networks do not have a way to verify whether the child who is joining social media networks is of the age they are actually claiming to be. The same goes for minors who are not yet 18 years of age and join the websites pretending to be that they are. Furthermore, social media networks like Facebook, Instagram, SnapChat, Twitter and even YouTube and Netflix come equipped with all sorts of privacy options that allow you to make your social network account private so that only your friends and the people who are close to you can actually see them, or follow them or even add them as friends. Plus, they also come equipped with the option of blocking unsavory people or content from a number of these social media networks though direct physical access to the website or even through parental monitoring app like TheOneSpy that gives you direct access to the app or even delete the installed app if parents feel like it. Make sure that “friends only” privacy exists on their accounts so that whatever they post can only be viewed by the people they know. This way only the people you and they know firsthand and trust may be able to see the pictures of themselves they post with their friends or family. Do not add unknown people on their social media account since some of them might turn out to be sockpuppet accounts or accounts of people that prowl social media networks to find the next victim to groom. There might also be people online that might go catfishing on your child’s account, all of which are the very worst case scenarios. Tell them how having 50 good friends that they know and trust on Facebook are better than 500 fake ones. Instruct them on never commenting of groups containing iffy material. Such groups happen to be prowling grounds for people that might be potentially looking victims like your kids to harm. Tell them to never give out private information to even the people they know on social media since their account may be at risk of being hacked and the hacker may exploit the personal information they may get from these accounts. Using these methods with any others you can think of you can make your child’s online experience safe and fun. Furthermore, they can even allow them to connect with the people they know and share their thoughts and opinions with them.